The Gourd Art of Joe Bernard Montoya is influenced by his years living in the Native American pueblos of northern New Mexico. His art evokes a sense of closeness to the region of childhood. Montoya's work seems to celebrate the interplay between man and the natural world. Animals show up frequently since the Native American Apache people believe animals empower humans through their depiction on utilitarian and other objects. Traditional Native American symbols are another common theme. They seem to speak to the viewer in a long-forgotten language as if lifted from the Petro- glyphs, ancient rocks of the Southwest. 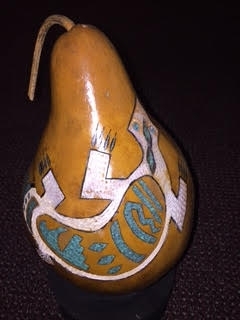 More than just mastering the skills of his craft-drawing, wood burning, inlaid turquoise, and staining, Montoya goes deeper to instill each gourd with a story. Montoya is more than happy to share the origin and inspiration for each of his unique, skillfully hand crafted fine art gourds. Montoya calls Orlando, FL home. After working 30 years with the Walt Disney Company as a wood woodworker, carver, and cabinet maker to name a few, he is now able to devote himself full time to his incredible art. 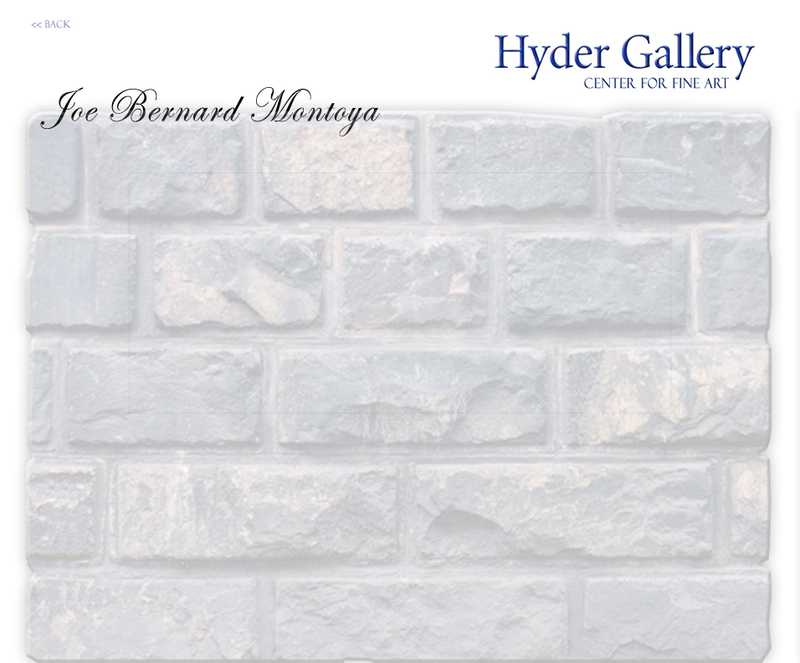 Height 8" x Width 8" x Depth 10"
Joe Bernard Montoya Professional Artist The Gourd Art of Joe Bernard Montoya is influenced by his years living in the Native American pueblos of northern New Mexico. His art evokes a sense of closeness to the region of childhood. Montoya's work seems to celebrate the interplay between man and the natural world. Animals show up frequently since the Native American Apache people believe animals empower humans through their depiction on utilitarian and other objects. Traditional Native American symbols are another common theme. They seem to speak to the viewer in a long-forgotten language as if lifted from the Petro- glyphs, ancient rocks of the Southwest. More than just mastering the skills of his craft-drawing, wood burning, inlaid turquoise, and staining, Montoya goes deeper to instill each gourd with a story. Montoya is more than happy to share the origin and inspiration for each of his unique, skillfully hand crafted fine art gourds. Montoya calls Orlando, FL home. After working 30 years with the Walt Disney Company as a wood woodworker, carver, and cabinet maker to name a few, he is now able to devote himself full time to his incredible art.